In other countries they publish many books about khomus, about khomusists, about how to make and how to play the khomus, and this cannot be said about our Republic. Hence I would like to share my notes written during almost 30 year-long personal experience of holding khomus in my hands and heart, dedicating them to the people who like playing the khomus. In order to learn how to play the khomus you need to obtain five basic skills: to learn how to hold the khomus properly, to obtain skills of striking or plucking the khomus tongue with fingers, to breath properly, to be able to hear the basic sound of the khomus and its overtones, and learn how to alter the sound. In order to play the khomus you need to take it by the ring with your left hand, your teeth should be slightly apart, making space for the khomus tongue vibrations, press the external cheeks against the front teeth so that the vibrations of the tongue do not go through the frame to the teeth. When it cannot be reached, you can hold the khomus between the teeth. In the beginning it is better when the ends of the frame are on the same level with the middle teeth. And then you can move the khomus to the right. Khomus sounds by the tongue vibrations, hence when playing it is necessary to watch so that the tongue vibrations do not stop. For the tongue vibrations you should pluck it with a bent forefinger, as a result the basic sound of the khomus appears. When making the basic sound the performer's tongue is placed at the back of the mouth cavity in order not to disturb the vibrations of the khomus tongue. The bent forefinger plucks the tongue by rotating the right hand to the shoulder. The sound of the khomus is longer if you inhale carefully and calmly. In order to increase the sound you need to close your lips so that they embrace the frame of the khomus, but do not disturb the tongue vibrations. Rotating the relaxed hand counter-clockwise makes the basic pluck. The elbow does not move and is down. The bent forefinger, making a rotating motion, touches upon the khomus tongue in the front. The strength of the pluck and its tempo coincide with the rhythmical beat of the music. If the finger touches the tongue when making a backward motion, this pluck is called backward. 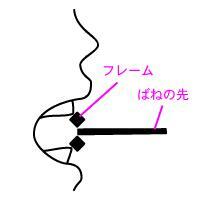 In backward pluck the sound does not change much, but this pluck is considered to be one of the pluck versions. 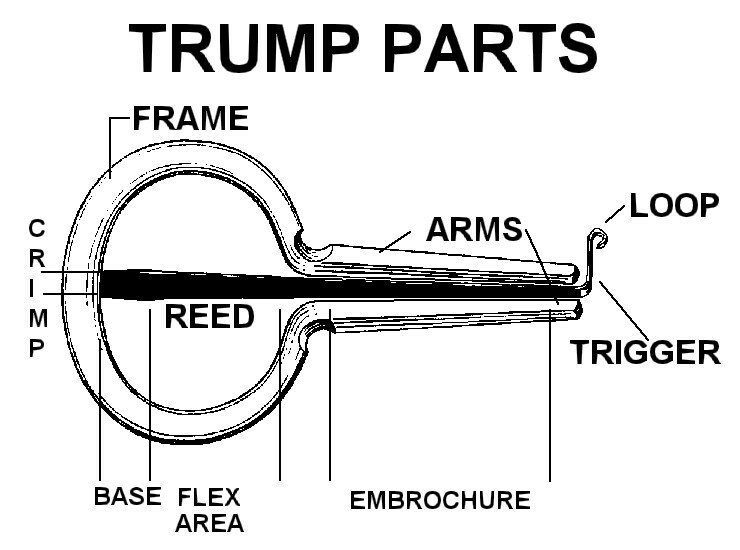 If these two ways are in a jumble, then you will get a variable pluck. Such way is very comfortable when playing at high speed. Another version is a pluck, when the hand does not move, and plucks are made from the side by different fingers. This pluck is called a lateral or finger pluck. And for comfortability you can place your thumb against the temple. This way is comfortable for imitating clatter of horses' hoofs, when playing rhythmical beats of modern melodies. The plucks made with the edge of the palm, fingers, or vertically held hand look beautiful, say about the very high technique of the khomusist. When a khomusist alternates the basic pluck with the last one and moves his arms like a dancer, it also helps to reveal the content of the musical work. The main method is inhalation. If you want the sounds to stream into continuous music, and the tongue not to lose energy and vibrate, making sounds without stops, you should inhale and exhale when playing. You may and you should inhale in different ways. If during one pluck you make a long inhale the time of the sound increases significantly. During one pluck you can inhale two, three or several times. Using such breath you can alter strength and length of sounds. When playing fast you should use abdominal and diaphragm muscles for breathing. Some khomuses can sound just from inhaling and exhaling, without plucking the tongue with fingers. The strength and speed of inhaling must coincide with the vibrations of the tongue. Excessive sudden inhalation leads to fading of the tongue vibrations, sometimes to a complete stop. That is why when playing you should constantly listen to the sound of khomus and support its vibrations by your breath and rhythmical plucks. Only then, animated by your breath, the khomus will speak with a human voice, will play and sing like a lark one spring morning. Exhalation does not improve the sound of khomus, but with a correct combination with inhalations it increases the strength of vibrations and strength and length of the sound. Of course, the vibrations of the tongue should coincide with the vibrations of the air, which the performer "pumps" back and forth with his respiratory organs. If you play when breathing through the nose the nasal cavity opens and the sound of khomus becomes nasal. In order to maximum increase the strength of the sound, you should breath with abdominal muscles. If you "pump" air back and forth, using the abdomen and diaphragm very fast, the sound of khomus increases and becomes stronger. If your lips are open when playing, it is difficult to pump air; it means that it is difficult to use this air. That is why when the lips are apart, the sound of khomus is quieter; if the lips are closed, the sound is stronger. It means that when inhaling it is better to put lips together, but so that there would not be an obstacle for the khomus tongue movement. By combining various lips' movement ands breathing methods you can make absolutely different sounds. Opening and pressing the lips together in combination with inhaling you can reach a very efficient level of sounds, equal to the effect received from plucking the tongue. Khomus with one tongue plays on one note. This sound made without speech organs is called the basic tone of khomus. The mouth cavity serves only as a resonator. But it does not mean that the possibilities of khomus are limited by one note. A khomusist, moving the speech organs, can make plenty of various overtones, the sound of which, in case of successful improvisation, becomes real music. In order to alter sounds and create music it is necessary to have keen hearing and learn to listen to the sound of overtones. A khomusist improviser should know in advance what sound is going to be made by khomus in the next moment, i.e. he or she must make the technique of sound alteration automatic. The lowest sound is made when you tune the speech organs, the vocal cords for pronouncing the sound "o" (in the word "more", for example. - T.) , and your tongue is at the back and the mouth cavity opens as much as possible. The highest sound is made if the speech organs are located as if pronouncing the letter "e", i.e. in this case the tongue almost touches the lower teeth, and the mouth cavity is smaller in volume. Thus with the help of the tongue you can alter the pitch of the basic tone, since here only the volume of the mouth cavity, a sound resonator, is changed. But if you use lips and pharynx organs, the vocal apparatus, you can make various, marvelous sounds. Imitation of a lark has been a widely spread way of playing for a long time. All khomusists like it. In order to learn this method you should hold your tongue as when you pronounce "yi-yi-yi" and move it back and forth at high tempo. First you should learn to move your tongue during one pluck. And then changing the rhythm of the play, the strength of the sound, you imitate lark singing. Imitation of a goose singing is also a traditional way of playing. The tongue moves in about the same manner as when imitating the lark, but in this case the tip of your tongue touches the palate and tears away from it. It means that the performer's tongue makes a complicated move - his tongue itself moves back and forth, and its tip moves up and down. By looking at which organ participates in making overtones of the basic tone, i.e. when making diphony, you can divide the sounds into the others. When breathing through the nose nasal sounds appear, to be more exact, if you hold the nasal cavity as when breathing through the nose. During learning this method it is better not to move the speech organs, the respiratory apparatus. If you soundlessly move the pharynx you get pharyngeal sounds. Here it is necessary to hold your breath and move the closed pharynx. For example, in order to imitate a cuckoo, you strain the pharyngeal muscles; you hold your tongue as if you pronounce a sound between "ae" and "o". After you pluck the khomus tongue, you move your tongue, soundlessly saying "kook-koook" and then, even in the middle of a severe winter, in your waking hours, the hot summer messenger will cuckoo in your room. 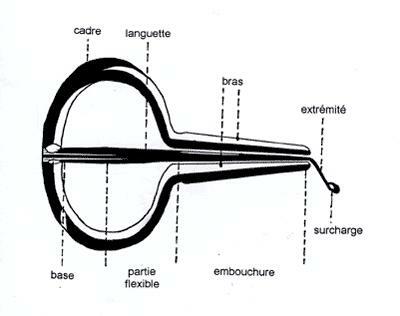 Usage of a pharynx helps to make various, pleasant sounds not reproducible on other instruments, but technically and physically this method is very difficult. A sudden stop of the khomus tongue or making a short sound is a difficult but necessary method. A khomusist improviser as well as all other musicians must be able to use long, short, strong and quiet sounds and pauses. Opening and pressing the lips together, changing the strength of the tongue pluck can alter the strength of the sound. You can stop the tongue vibrations by a sudden inhalation, as well as by embracing its end with lips. The latter is more efficient than the former and is comfortable when you gradually stop the sound. When combining these methods of stopping and embracing the khomus tongue with the lips' edges during inhalation you get a completely different sound. If you break the khomus tongue with your lips and pluck it from the other side, you get a sound similar to spring snow drips. This sound is called "tabygyr". The stop of the tongue with lips is a quite difficult method, since you can damage your lips. It is easier to stop the tongue, pressing it with the right hand finger. With short sounds you can imitate hoofs clatter, spring snow drips, woodpecker's knocking on a dead wood, roll of a drum, etc. If you play holding the khomus only with lips you will get a completely different short sound. Successfully imitating these basic ways of sound alteration with the breathing and plucking methods, you can please and amuse the audience with a wonderful music, persuade them that khomus is really a speaking instrument. Khomus has a whole ocean of opportunities; there is a lot of unknown too. A khomusist, who constantly and creatively studies, is sure to find new methods and will enrich the khomus music with new magical sounds and its overtones. Khomus playing can be divided into three groups: traditional moderate, imitation, and improvising. Traditional moderate playing is not widely spread, we can say that it is a disappearing playing style. Khomus sound fleets in the air without slops, without disappearing even for a second. Constant quiet song of khomus is gradually becoming stronger, exciting more and more both the khomusist and the audience with its magical power tenderness and heartiness. The performer is excited with the khomus, and without noticing it, he seems to fall into the khomus power. And the khomus through its magical music brings everything the khomusist thinks and worries about to the audience. Only those can play so, who shared ups and downs with their friend khomus for many years, usually these are old khomusists. Moderate playing is usually for yourself, and not for the audience. In moderate playing style they usually use the basic pluck, they do not use the pluck versions, i.e. the performer does not think about outside effects and fully opens his soul with the help of a magical tongue of the khomus, over which the blacksmith concocted using the secrets genetically inherited since the ancient times. A simple kind of the moderate style is playing tunes of folk songs so one can hear the words of the song. In this case you pluck the tongue to the melody time and soundlessly move the speech organs, as if saying the words of the song. Then the khomus plays so that one can hear the melody and even the words. That is why the Yakut khomus is called a speaking khomus. This kind of playing is well suitable for teaching those who begin to feel the rhythm of the music. A well-known traditional melody "bie-bie-bie" (the vowels are pronounced like in "near". - T.) is an introductory part of any moderate style playing. The performer of a traditional moderate playing style is always a performer of toiuk (a Yakut greeting song. - T.). i.e. in itself this playing is performance of toiuk using khomus. Some performers when using moderate kind of playing sing along with it, which is a separate version of the moderate playing style. Imitation style is liked by the audience and the khomusists. The Yakut khomus has unlimited opportunities of sound imitation. And if a real master of imitation playing style, depending on his playing in the middle of the summer you can find yourself in the snow storm of the severe winter, and in the winter cold to walk amidst the lush green nature of July. Being in any remote country you can find yourself in your native alas, among your family. In the ancient times our ancestors expressed their happiness that the long cold winter is over, that the nature woke up from the winter sleep, blossoms, by playing the khomus, imitating lark singing, geese cackling. This tradition is still preserved in imitation playing. A khomusist improviser can exactly repeat the sounds of spring snow drips, fast horses' clatter exciting the participants of the summer holiday Ysyakh, cuckoo informing about the beginning of the anticipated summer, drum rolling of a woodpecker one quiet autumn morning, whistle of the wind walking over the boundless snow tundra space. Some khomusists imitate the voices of the birds using their own voice, and this, of course, brings variety and is applauded by the audience, but it cannot be considered a difficult method, i.e. here the opportunities of the khomus are not used. Each khomusist is aiming at mastering all playing skills, but you should not demonstrate all your skills during one performance. Firstly, it is impossible due to the fact that there are so many various methods. Secondly, it is important, that a simple set of different sounds, however effective they were, cannot be called music. And if you combine and use various methods appropriate to the theme of the performance, then the audience will be touched by the tender, quiet and wonderful voice of khomus, and after sitting in silence possessed by the disappeared music, will explode with wild applause expressing gratitude to the performer. Improvising playing is not for everybody. A khomusist who mastered the playing technique, who is able to express his feelings through khomus, can improvise. Unlike the moderate play there are no words, and the tempo can be different. It differs from the imitation playing by the presence of the theme, content, which are revealed by the khomus opportunities. A khomusist improvises around one theme, sometimes a tune, using all kinds of appropriate methods. Creating the music, the improviser does not try to show all opportunities of khomus, he would use only the necessary ones in order to show his mood, and methods. Here the appropriateness of the khomus to the music theme plays a great role. Thus, for imitating a cuckoo, a lark, saying the words of a song it is good to use a khomus with a relatively low basic sound. For fast modern music it is better to use a khomus with a short tongue, i.e. a high sound. For the wind imitation you need a khomus with a very sensitive tongue, which sounds from the person's breath. One khomus can be tuned to different main sounds, adjusting the size of the weight on the tip of the khomus tongue. The music should consist of three parts: the introduction, the main part, and conclusion. Let's take, for example, the theme "Ysyakh". Ysyakh is a very old tradition. Showing this, you may start from the introductory song of osuokhai (a Yakut circle dance. - T.). In order to show that Ysyakh is an ancient tradition, at first you can hardly hear the khomus, then the sound becomes stronger, but slowly as if coming up from far away. They used to open Ysyakh with the sunrise. That is why the transition point to the main theme is imitating songs of a lark and cuckoo woken with the first rays of the rising sun. In the main part you can hear joy, brisk among the people who came, the tunes of their joyful, improvised songs and dances, mixing with the birds singing, clatter of fast horses, voices of the playing children. The strength of the sound, the playing tempo alters as first singers change each other in a circle dance. In the conclusion you can switch to the theme of "Osuokhai", saying the words through khomus. Or you can start another theme "The song of reindeer breeders". During the performance with the help of pharyngeal sounds, playing only with the help of breath, you try to show the freezing cold of the boundless space of the tundra, wailing of the storm and whistle of the wind. The nature of the tundra is beautiful and unique in its own way. People who live there have their own dances, songs and customs. That is why the theme of the main part can be a song of a young reindeer breeder about either successful hunting or happy love. Starting from such tender northern dancing melodies you gradually switch to the rhythm of a reindeer sleigh running on the boundless snowdrifts, the soundless dance of the Northern lights in the night sky. The sound of khomus, disappearing behind the snow hills, or appearing on the turns of the paths, gradually moves away. And suddenly it explodes with various sounds, showing joy of meeting congenial souls that go round in a happy and dashing dance "Seedje", which is the end of the composition. When creating the music with khomus it is necessary to be able to use gradual diminishing of the sound, alterations of the rhythm, pauses, long and short sounds. You may use famous melodies, enriching them with the magical sound of khomus. And if during the performance a khomusist gets excited, falls under the power of his own music, he will unwittingly start composing music. Then khomus created by kind gods, made by magic masters will speak and sing about the happiness of the humankind. Its magical music will remind you about spring, the tender song will relieve sufferings, will dispel sadness. Khomus triumphant song will multiply joy and bring success. In order to play like this, in order to stir souls of hundreds of people you yourself need to believe in the human soul of khomus, in magic of its music originating from the ancient times accumulated by many generations of masters, folk talents, who made and played the khomus. And for this you need to know your native language, respect traditions of your people, always and everywhere aspire only to the good, kind and bright. Any one who wishes can learn to play the khomus. To make the basic sound, to alter it, to play simple melodies you can learn fast. But in order to master all the techniques, you need systematic exercises, persistence, insistence, and, of course, a great desire and love to the khomus music. 1. Rotating movement by a relaxed hand at any speed. 2. Do the first exercise in time of the music. 3. Repeat exercises 1, 2 holding arm in the position to play the khomus. 4. Plucking the khomus tongue. In the beginning the exercises are to be done at any tempo, and then to various music time. 1. Clenching and unclenching fists. 2. Repeat exercise 1 at different tempos. 3. The fingers touch the tip of the thumb in turns. First slowly, then at different tempos. 4. Repeat exercises 1-3 with the music. 5. Touch your cheek with fingers, placing the thumb against the temple. 1. Inhale and exhale through the nose. 2. Inhale and exhale through the mouth. 3. Inhale and exhale with abdominal muscles. These exercises are done without khomus, at first slowly, calmly, and then gradually switch to the highest possible speed. 1. Inhalation through the right edges of the lips simultaneously pressing the lips together (preparation for the braking of the khomus tongue). 2. Repeat all the exercises with khomus. 1. Transition from the sound "o" to the sound "e" (soundlessly). 2. Mute movement of the lips, tongue as if saying various vowels. 4. Move your tongue forward and back (preparation for the way of playing "Lark singing"). Kiuiogeidetii. 5. Touch the palate with your tongue many times (preparation for the way of playing "Goose scream"). Khaastatyy. 6. Strain and relax the pharynx (preparation for the way of playing "Cuckoo") Kegheletii. 7. Repeat exercises 1-6 at different tempos. 8. Pump air through slightly open lips by moving your tongue. 9. Combine these exercises with the breathing methods. I started playing the khomus when I was ten years old, when I studied at school and lived in the village of Tabaga, where a famous blacksmith S.I. Gogolev-Amynniyky lived and worked. At the beginning I was simply interested in making various sounds, later when I heard playing of Ivan Egorovich Alekseev over the radio, I was amazed by the gorgeousness of his methods and pithiness of the famous khomusist's playing and began to imitate his manner. In my university years, playing in the Algys ensemble under the leadership of Ivan Egorovich, when we compiled the scenarios of the compositions together, I started to pay more attention to the content of playing, tried to open a certain theme. Later during my tours to the Western Europe I understood, that only those peoples that preserve and convey the language and the culture from generation to generation, live and develop. Since then I have been consciously propagating khomus music, making efforts so that more people, especially children, learn to play the khomus. 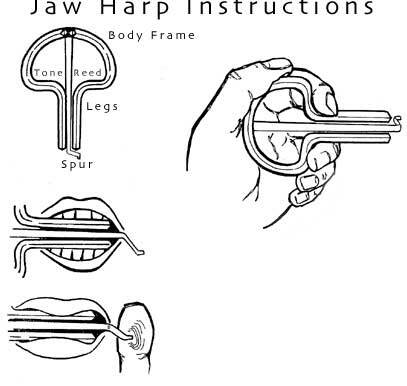 And I am proud that it is improvisation music of the Yakut khomusists, which lead to the fact that people from all over the world again got interested in the Jew's Harp music. And it is the Yakut center, around which join enthusiasts, specialists, scientists, who work on the revival and research of hidden opportunities of khomus music. As a part-time member of the Administration Board of the International Khomus Center I receive many letters from many friends from all over the world with the words of gratitude for that systematic work of enthusiasts, who are propagating the music of khomus. Khomus is an ancient instrument, spread all over the world, but only in some countries they preserved it in the primordial condition and nowhere else the khomus music is loved more than in the Republic of Sakha. Khomus is a very simple instrument, which can find room on your palm, but has the richest opportunities to show the emotional state of the performer. Only playing the khomus you can play so that the tunes and the words of songs can be heard, and only with khomus you can make somebody a declaration of love. Unlike other instruments, only when a khomusist heartily touches its cheeks and enlivens its tongue with his breath it sounds tenderly and sincerely. And then any season of the year in khomus music you can smell flowers, spring breath and the awakening nature, hear joyful singing of a cuckoo and a lark. For the Sakha people khomus is a resonator of positive emotions. Playing the khomus you can dispel melancholy and sadness, playing it you can cure and heal various illnesses. The music of khomus comes from the heart of the performer and that is why it has positive influence on the human body, helps to reveal its hidden capacities. Playing the khomus is always a unique improvisation, peculiar to each performer, his or her mood at the moment of communication with the listeners. It is difficult to describe the beauty of the khomus music, almost impossible. You can understand it only after listening to a live performance of a khomusist improviser. Blacksmiths, the most respected people, make khomus. The positive spiritual fluids of the people preserved in their genes and imbibed into the tongue of khomus, reinforce the energy of the khomus music, making it a lively wave with gigantic magical power, opening hidden creative opportunities for the personality. It is absolutely natural that children-participants of the contest "The Charming Sounds of Khomus" revealed and expressed themselves in their works: paintings and compositions. Play the khomus, study the history of khomus, listen to the khomus music, create to the khomus music, and participate in the contest. And I am sure, you will get real joy from coming into contact with the beautiful, you will feel pride for your people who preserved this magical art for the world civilization.